C.B. 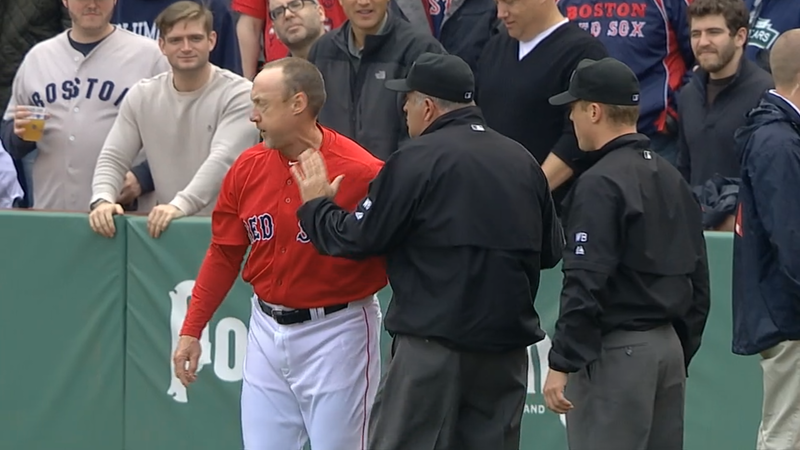 Bucknor was hit by David Ross’s foul ball. 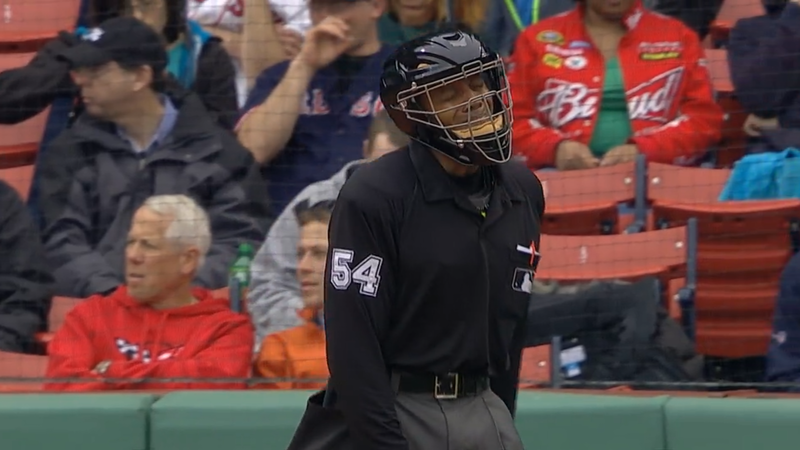 His pained expression would repeated on the faces of Red Sox fans as the game wore on and the local nine were unable to capitalize on scoring opportunities. 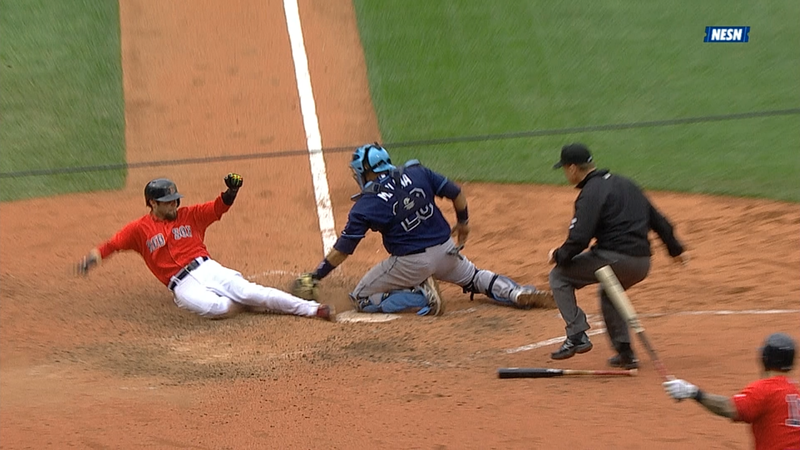 Collectively the Red Sox were 1-for-8 with runners in scoring position, stranding 11 men. Dustin Pedroia seemingly tied the game in the seventh but Toby Basner called him out at home. Basner isn’t listed in a 2014 crew nor is does he have a biography page on the MLB’s official site. He was called up to umpire in the big leagues in 2012. John Farrell challenged Basner’s call and after it was reviewed at MLB headquarters the call stood. Brian Butterfield was so incensed he tossed his helmet in disgust and was ejected. 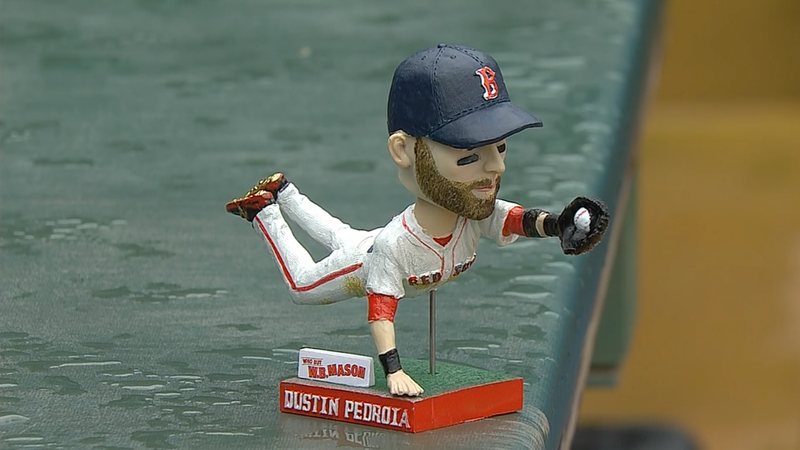 I propose that Pedroia have another bobblehead day that portrays him barely safe at home and an umpire signaling him out. Josh Reddick will have to come back and complete his collection.